I really love Eve’s work. I admire her ability to paint (almost) every day and how she sends her work out there into the world. 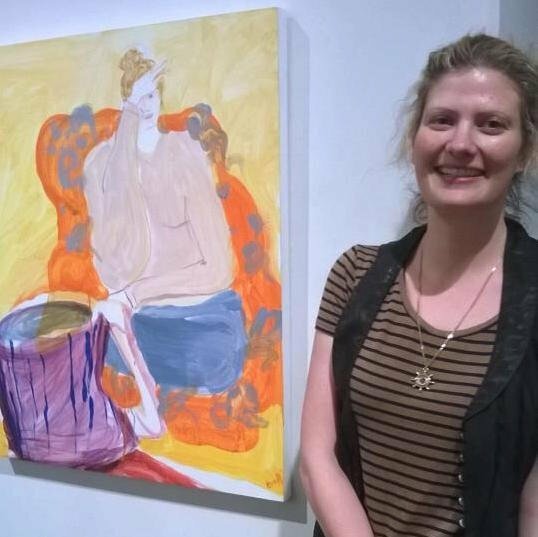 Just this year she has started entering art competitions and has been selected as a semi finalist in the 2014 Doug Moran National Portrait Prize and is a finalist in the 2014 Portia Geach Memorial Award, NOW showing at the S.H. Erving Gallery until December 14, 2014. This is Eve’s portrait of her brother Julian Meagher. This painting was selected in the semi finals of the 2014 Doug Moran National Portrait Prize. 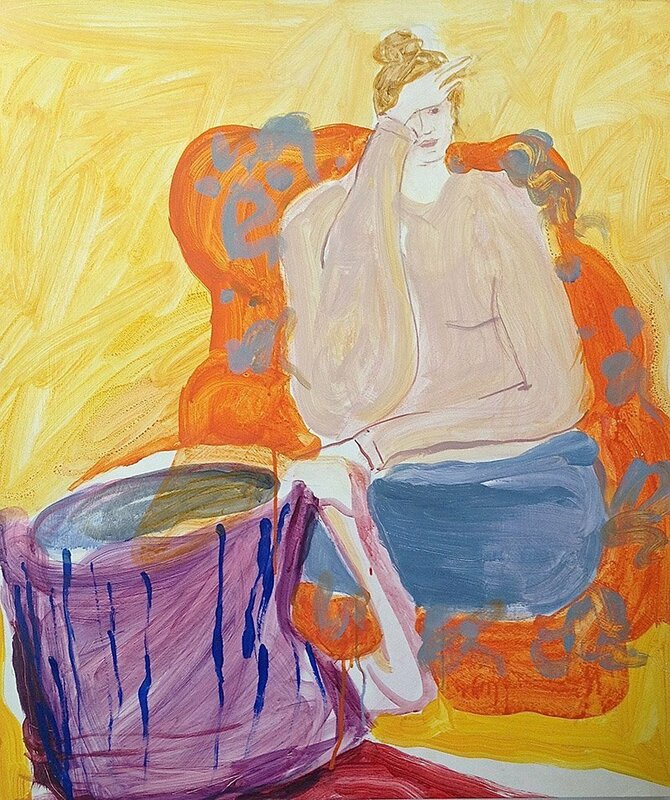 This painting called ‘Procrastipainting – this is me to a tea’ is a gorgeous depiction of Eve putting off till this afternoon, what can be painted right now. Endless cups of tea can be one of the best and most accessible tools available to the professional procrastinator. Procratipainting is a finalist in the 2014 Portia Geach Memorial Award. This is Eve at the opening of the 2014 Portia Geach Memorial Award. Make sure you make your way to the S.H. 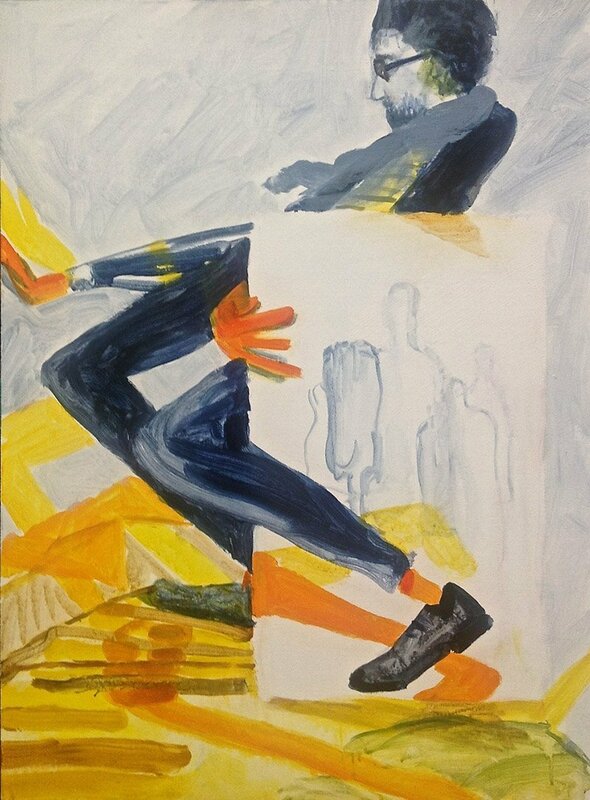 Erving Gallery before December 14 and see a bevy of amazing female painters.